Aquabatix is the worlds leading water event entertainment company who produce innovative water shows all over the world. 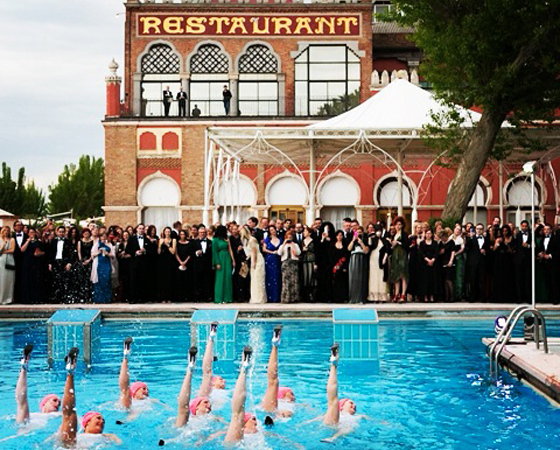 Our winning combination of highly experienced, Olympic synchronised swimmers, aquatic athletes and world class choreographers, guarantees an incredible performance every time. We pride ourselves on our creativity and flexibility to deliver a performance in a variety of forms of water. From swimming pools to aquariums, we will create choreography specifically for your event that will be the highlight for your guests. Aquabatix can produce a performance in any size or shape swimming pool, indoors or outdoors, deep or shallow. Our highly trained choreographers relish the opportunity to create performances in new venues and will work with their surroundings to get the very best show possible. From performances at the Haymarket Hotel in London, to the Burj Al Arab in Dubai, our performances surprise and amaze the audience. Our talented and beautiful mermaids will mesmerise your guests with an enchanting performance. Our performances range from static posing on poolside and interacting with your guests to choreographed routines with a team of mermaids. Aquabatix has created a new form of underwater entertainment by submerging ourselves and our choreography and performing underwater in large water tanks, theatres and aquariums. With the performances viewed from all around and not just the surface of the water, we are able to create intricate choreography using the whole body. Aquabatique is a totally unique underwater act performed in a portable glass water tank. 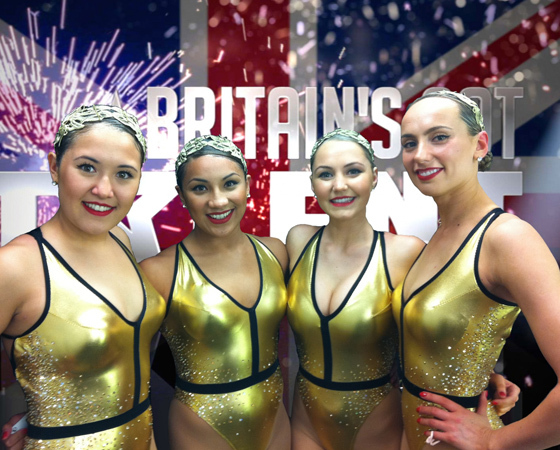 It is the only act of its kind in the world and the swimmers made their mark on the entertainment world when they reached the final of Britain’s Got Talent. Aquariums provide a beautiful stage and moving background for our underwater performances. 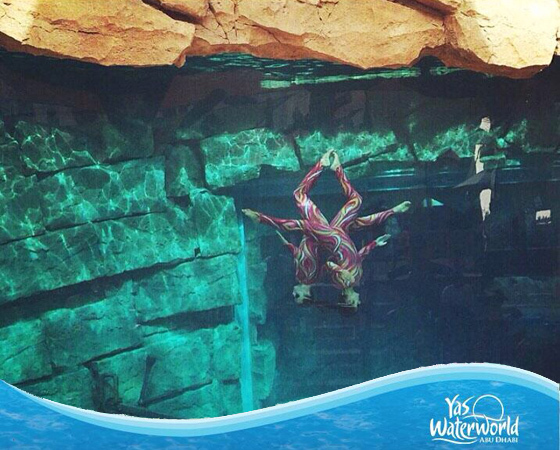 Enhanced by the natural surroundings, our synchronised swimmers will create a breathtaking performance.